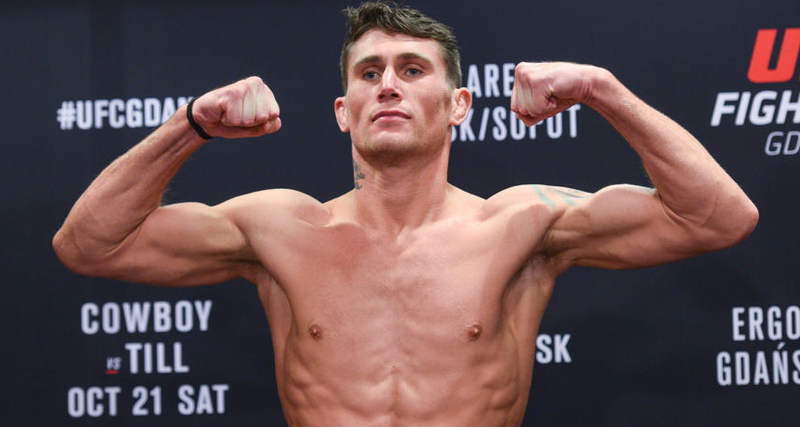 An English mixed martial artist in the welterweight division of the Ultimate Fighting Championship and former Muay Thai fighter in the welterweight division is popularly named as Darren Till. He is one of the best martial artists of all time. His nickname is "The Gorilla". For the holding of Purple Belt in Luca Livre Esportiva. 25-years, Darren was born on 24th December 1992 in Liverpool, Merseyside of England. His nationality is English. At the age of 12, he began his training and became professional at the age of 15. His birth sign is Sagittarius. His religion is Christianity. The height of Darren is 1.85 m tall and his balanced weight is of 77 Kg. His bicep size is 14.5 inches. His body measurement is 40-32-35. His eye color is Green and the hair color is Brown. Darren began his early career in Santa Catarina where he was part of Astra Fight Team. In the year 2015, he faced Brazilian Wendell de Oliveira Marques in his UFC debut at UFC Fight Night: Condit vs. Alves on 30th May. He became successful to knockout him and secured his first UFC win. On 24th October 2015, he faced Nicolas Dalby at UFC Fight Night: Holohan vs. Smolka and was awarded "Fight of the Night". On 28th May 2017 at UFC Fight Night: Gustafsson vs. Teixeira, he faced Jessin Ayari. On 1st August 2017, he announced that he had signed a new, five-fight deal with UFC. On 2nd September 2017 at UFC Fight Night: Struve vs. Volkov, he faced Bojan Velickovic. On 21st October 2017 at UFC Fight Night 118, he faced Donald Cerrone and won the fight and he then earned the "Performance of the Night". 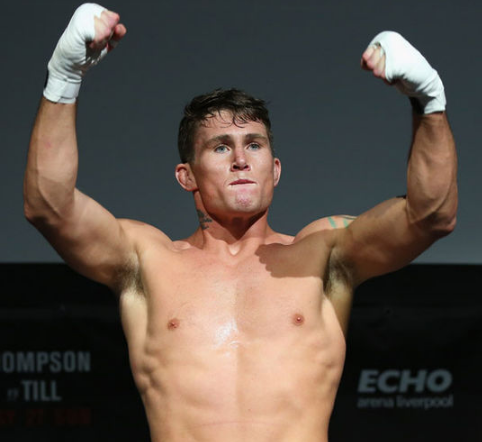 On 8th September 2018 at UFC 228, he is expecting to face current UFC Welterweight Champion "Tyron Woodley". The net worth of Darren is $500,000 as of 2018. Darren is very secretive person. He has not revealed information about his private life. Accordint to the some website he has a daughter whom he left to live with her Brazilian mother in December 2016. He had gotten a tattoo on his left arm of his ex-girlfriend, the mother of his child, for a birthday gift. He also earned the "Performance of the Night" on 21st October 2017.